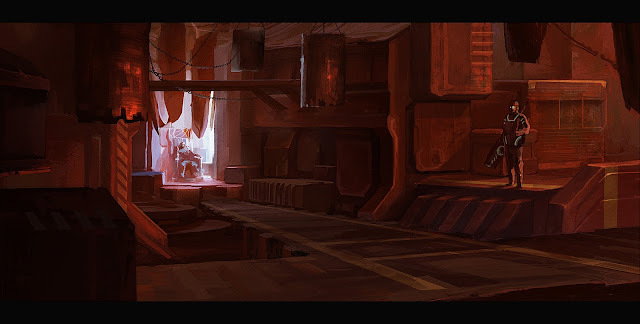 Art of Jason Kang: Environments! Series of monochromatic (kinda) environment sketches done during the weekend. Was aiming for 5 and barely finished these 4, got caught up playing LoL.. Sorry sir, this is wrong. You messed up. Haha I know who you are, the anonymity of the internet can't hide you!